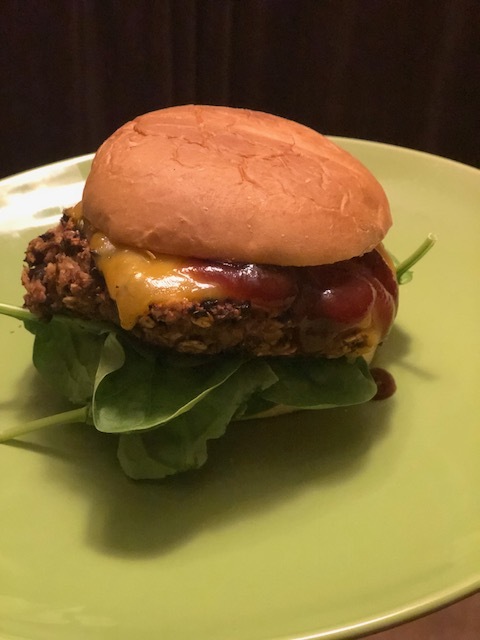 Veggie burgers are so easy to make and an inexpensive way to get vegetables in. This meal is perfect for days you really don’t feel like cooking but want something satisfying. I put BBQ, cheddar and spinach on my burger, but this can be easily vegan by swapping out your toppings. Also make it gluten free if needed by using a lettuce wrap and gluten-free oats. Enjoy!